The movie posters for these two movies are similar in style to what we saw when Sailor Moon R The Movie was released in theatres. Fans will be able to get tickets and a complete list of participating theatres from the Fathom Events web site. Currently no theatres are listed but there will surely be more added as we get closer to the dates. It seems practical to refer to the SuperS film as Sailor Moon SuperS The Movie rather than it’s full official title Sailor Moon SuperS: The Nine Sailor Guardians Unite! Miracle of the Black Dream Hole. I hardly hold this against Viz as I’ve been known to do the same myself! 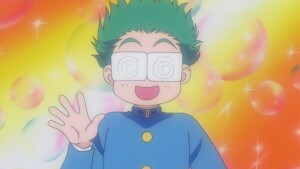 This will be the first time Ami’s First Love is released here in North America. This short animated special, which was originally shown alongside the SuperS film in Japan, tells the story of Ami receiving a love letter which she suspects is from her intellectual rival Mercurius. Sailor Moon S The Movie is adapted from a manga story The Lover of Princess Kaguya which focuses on Luna and her infatuation with a human man. It is well known for featuring Human Luna. The Sailor Moon SuperS film is an original story not based on any manga chapter. 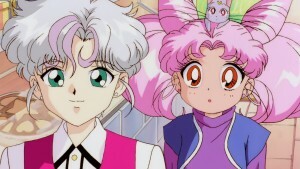 It has Chibiusa befriending Perle, a sort of fairy boy who’s rebelling against Badiane, a villain who is attempting to put the Earth’s children into an eternal sleep in the Black Dream Hole. The film’s story has some similarities to the film The Matrix, which was made a few years after it, though these may be a simple coincidence. Do you plan on checking out these films? After years of waiting the original Sailor Moon anime series has been licensed for distribution by Viz! 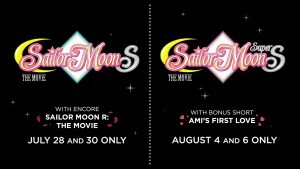 The original Sailor Moon series will be released by them on DVD, Blu-Ray and streaming both dubbed and subbed. 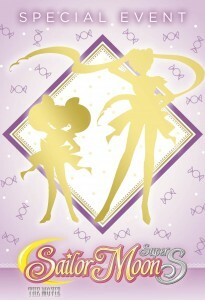 Viz has also acquired the rights to the new Sailor Moon anime Sailor Moon Crystal! This was announced on Friday, May 16th, at Anime Central. The streaming subbed episodes will be released every Monday starting with the first four episodes which will be released on Neon Alley and Hulu with two new episode being released every Monday after that. In addition to this subtitled release a whole new dub is being produced. This new release will be retaining all original names and story arcs, be completely unedited, and include all 200 episodes, including Sailor Stars which has never previously been released in North America and the 7 episodes from the first two seasons which were never dubbed. 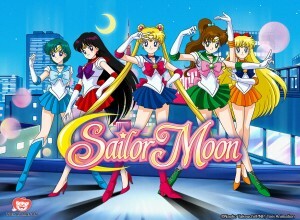 Viz has also acquired the rights to the three Sailor Moon movies and the specials. The new dub will be released streaming in late 2014. Details about the cast of the new dub will be announced at Anime Expo in Los Angeles the weekend of July 3rd to the 6th. 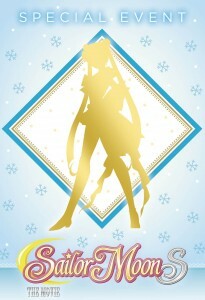 This will likely be taking place on Sailor Moon Day, which is being held July 5th. 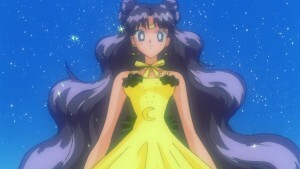 Anime Expo will be having as guests a number of voice actors from the original dub of the Sailor Moon anime, including Linda Ballantyne, Sailor Moon, Katie Griffin, Sailor Mars, Stephanie Morgenstern, Sailor Venus, Karen Bernstein, Sailor Mercury, Susan Roman, Sailor Jupiter, Toby Proctor, Tuxedo Mask, Mary Long, Molly, Ron Rubin, Artemis and John Stocker, voice director. Though fans would love to see their favourite voice actors reprise their role there has been no indication one way or another that this will be the case. These new releases will also be on DVD and Blu-Ray. The subtitled digital download releases will begin in Summer 2014 with season 1 part 1. The dub will be released with the DVD and Blu-Ray/DVD combo pack releases at a later date. The video is mentioned to be the remastered version from Japan, though details on this remastering process are not currently known. The DVD releases currently available in Japan are standard definition releases. 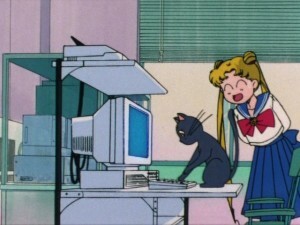 The first season and movies are in 480p, progressive scan, though Sailor Moon R, S, SuperS and SailorStars have only ever been released on interlaced 480i DVDs in Japan to date. Based on comments made in an Anime News Network interview it would appear that the work has been done using post processing rather that going back to the original film source. The last DVDs released domestically from ADV were pretty much completely terrible, so we can certainly expect this version to be a vast improvement.